Deloitte is taking non-financial applications of blockchain technology into uncharted waters. To record management systems, products, supply chain, and facilities certificates for companies on a private, shared ledger, the consulting firm’s blockchain lab for Europe, the Middle East and Africa recently partnered with DNV GL, one of the world’s largest classification societies. Such companies certify that their processes meet acceptable standards for safety and environmental impact. But, the certificates they issue can be forged, potentially undermining trust in the system. Further, checking that a certificate is real is a slow, cumbersome process. Deloitte and Norway-based DNV GL see blockchain technology as the answer to both problems. Their solution creates a digital ID of each certificate that is stored and accessed on a private blockchain. The decentralized approach is seen as a way to discourage fraud or otherwise tampering with the documents. One problem with the legacy system is that users need to go to a company’s website or send an email to check a certificate’s authenticity. This can now be done instantly with a blockchain, explained Renato Grottola, director of global digital transformation for DNV GL, which formed from a merger between DNV and Germany’s GL in 2013. “As the original data is stored and updated in the blockchain, it will quickly reveal whether a certificate is authentic or not,” he said. The solution was officially deployed September 23, with 90,000 certificates currently on the private blockchain. “It is quite early after the deployment, but feedback received so far has been positive,” said Grottola. DNV GL’s business is based on trust and authenticity with industries trusting its certificates to be what they say they are – but that is an increasingly difficult balance to maintain. It can take another lifetime trying to disprove those falsehoods and rebuild a reputation. Kehoe said he believes that Deloitte’s blockchain deployment will prevent that. However, IACS recently appointed DNV GL’s CEO, Knut Ørbeck-Nilssen, as its new chairman and upon his appointment, he spoke of the need to prioritize digitization. Grottola said DNV GL was aware that some its competitors are looking at blockchain initiatives and it was “keenly observing” new entrants in the market. DNV GL’s blockchain solution is part of a growing trend of non-financial services firms turning to the technology. Deloitte’s Kehoe said he has seen a notable increase in the number of such queries over the last nine to 12 months, and that clients are now coming to Deloitte with a greater understanding of blockchain technology. 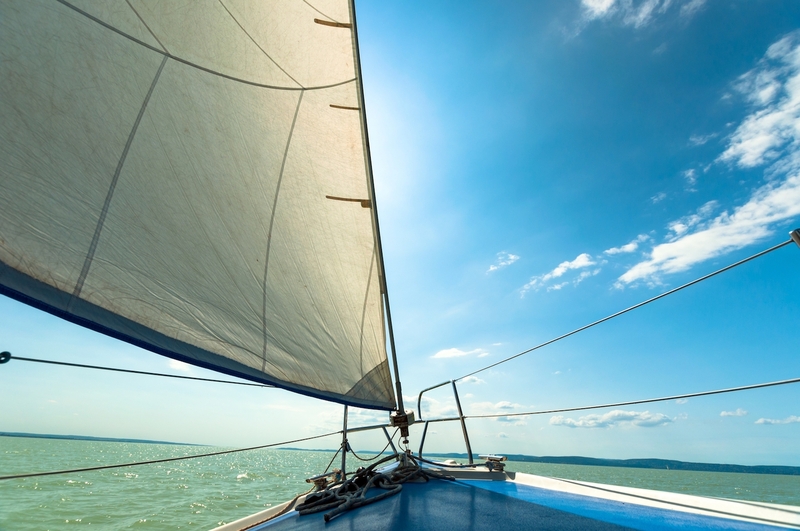 Sailing boat image via Shutterstock.